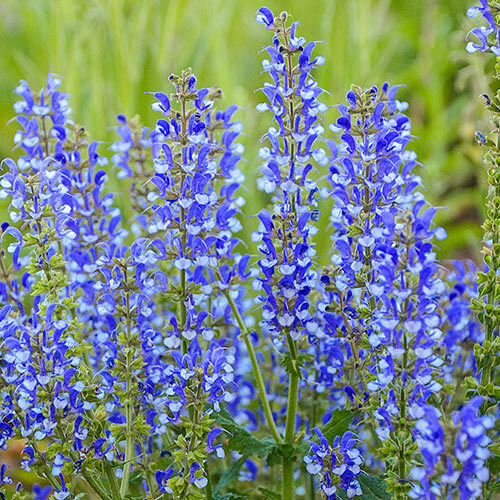 Salvia—also called whorled sage—is a go-to for most any garden. 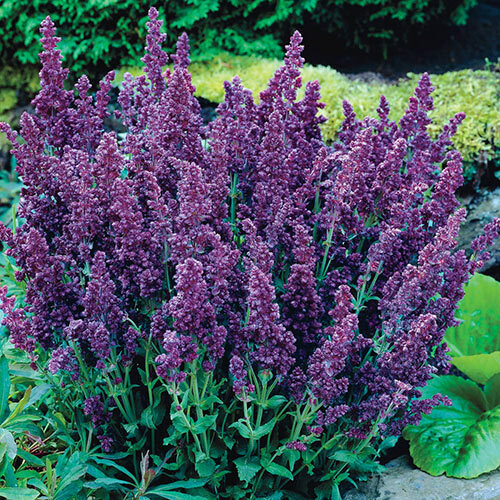 It's easy with an impressive soil tolerance, including rocky and dry, drought-prone soils. 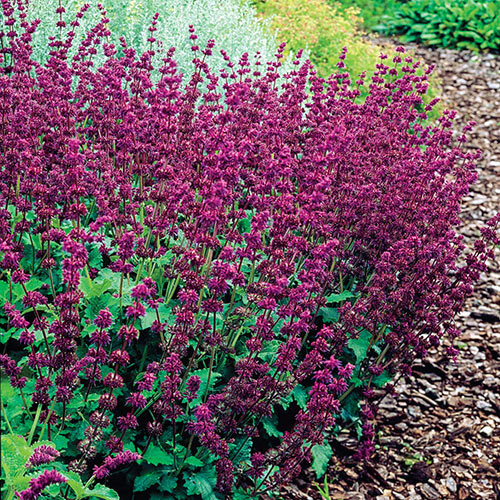 Try it in cottage, prairie and costal gardens, or just fill out some space the low-maintenance way in a sunny border. It's very reliable and easy to care for. It's delightful to watch the butterflies and hummingbirds darting around the blooms, yet hungry rabbits tend to avoid them. 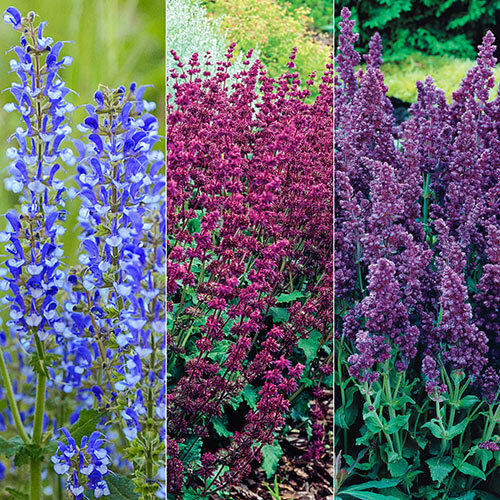 In this collection, you'll get three top-performing salvia with rich, complementary bloom colors over a variety of heights and habits. They make such a dynamic, gorgeous display! 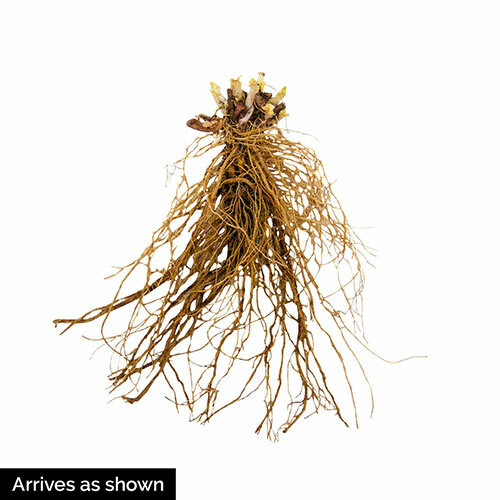 Feel free to grab some of each for cut- and dried-flower arrangements.